With less than two years until its release date, there is still plenty of prep work to be done on Jurassic World 2. So, what do we really know about the sequel at this early date? Quite a bit, actually. We know when it will hit theaters. Who is starring. And who is directing. We even have a vague outline of the plot. But let's look deeper, shall we? Jurassic Park, more than 20 years after the fact, remains one of the best movies that Steven Spielberg ever directed and without question the greatest movie to ever feature dinosaurs in it. While The Lost World may have had its moments, Jurassic Park III was a profound disappointment, and for years we waited for a proper sequel. Last year, for many fans, they finally got what they had been waiting for in the form of Jurassic World. Jurassic World was well liked by critics, as it currently sits at a 71 percent approval rating on Rotten Tomatoes. But, perhaps, more importantly, the movie made a staggering $1.67 billion at the worldwide box office, making it one of the highest-grossing movies of all-time. That being the case, Jurassic World 2 is definitely happening. Legendary and Universal Pictures were quick to give the project the go ahead, but luckily, they didn't want to rush things. The movie is set to come out in 2018, which means they have plenty of time to (hopefully) get it right. Jurassic World broke The Avengers opening weekend record at the box office with a whopping $208.8 million, although that was later shattered by Star Wars: The Force Awakens. While the producers are surely hoping that Jurassic World 2 can top the $652.2 million domestic and $1.5 billion worldwide haul of Jurassic World when the sequel hits theaters, they know they will have to deliver a really good movie to make that happen. At the very least, it looks like Jurassic World 2 will be very different. Director Colin Trevorrow will not be back to direct the sequel to Jurassic World, but his DNA will still be all over the movie, so to speak. We also can guess that, given the events of Jurassic World, we aren't going to be re-visiting a functioning dinosaur amusement park again anytime soon. So what will we be seeing? Well, we don't know anything overly specific, but believe it or not, we actually know quite a bit about the upcoming Jurassic World sequel. Many Jurassic Park fans are riding high after getting to see John Hammond's dream of a dinosaur Disneyland fully realized. However, things are going to need to change to keep the franchise fresh, but some familiar elements will be in place to help make the sequel work. So hold onto your butts, because here is what we know about Jurassic World 2. Way back in July of 2015, Universal Pictures announced that Jurassic World 2 would hit American theaters on June 22, 2018. 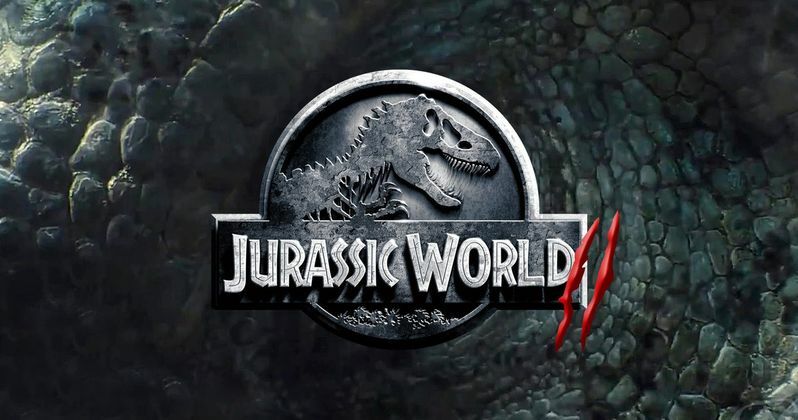 It was then announced that the U.K. would be getting the movie a full two weeks early, with the dinosaur adventure set to hit Europe and other parts of the world on June 7. It's not quite clear why other parts of the world will be getting the movie so far in advanced, and this never bodes well for the studio in terms of pirating. But we're sure the studio has its reasons. At that time, it was revealed that Steven Spielberg would return as an executive producer, with Frank Marshall set to produce. Spielberg directed the first two movies in the franchise, and is helping create and craft the on-going story as it continues into the future. Though the general consensus seemed to be that Jurassic World was very much a good sequel to Jurassic Park, not everyone loved it. No matter what you felt about the movie, pretty much one thing that we can all agree in is that we love Chris Pratt. Without knowing just how successful it was going to be, Pratt went straight from filming Guardians of the Galaxy to filming Jurassic World. So, in back-to-back years, he was in two of the biggest hit movies and is now one of the biggest stars on the planet. The good news is that he will be back for Jurassic World 2 as Owen Grady. One of the core problems with previous Jurassic Park sequels was that they were a lot of the same. Jurassic World tried to do some very different things, and one of those things involved Owen actually being able to train raptors, which made for some of the best sequences in the movie. Given the events of the first movie, it is unlikely we will be seeing Owen still training Raptors in Jurassic World 2, but we do know that he will be back and that he will again be one of the lead characters in the movie. Maybe we'll get to see him train a T-Rex this time around? Okay, probably not, but he's coming back. Prior to Jurassic World, it had been quite some time since Bryce Dallas Howard had been in a movie. She played a very necessary part as Claire, the lady in charge of the amusement park, in the movie, but there were definitely some issues with her character in the eyes of many. Not the least of which was her outrunning a T-Rex in high heels. Well, Claire is going to have a chance for redemption, because Bryce Dallas Howard is coming back for Jurassic World 2. She and the creative team behind the movie have learned some lessons, though. Speaking with Collider, Howard said "Original director Colin Trevorrow told me, when the sequel was happening, when it got green lit and that I was going to be in it, he texted me, '#NoHeels2018′. And I was like 'Yeah boy!'" So that is definitely a plus.